You may remember how, back in April, I started on a mission to review all 50 of the films included in Mill Creek’s Fabulous Forties box set. I actually got off to a pretty good start and, by the end of the month, I was about halfway through. Yay me! However, then the month of May began. And May turned out to be a very, very busy month. As I sit here writing this, it’s been 27 days since I last posted a Fabulous Forties review. That review was …. well, I can’t even remember what it was. After I post this, I’ll click on this link to find out. However, things have calmed down a bit and now I can go ahead and finish up the Fabulous Forties box set. And that’s a good thing because, between me and you, I am more than ready to move on to the Nifty Fifties box set! Anyway, without further ado, let’s consider the 27th film in Mill Creek’s Fabulous Forties, 1941’s Sundown! 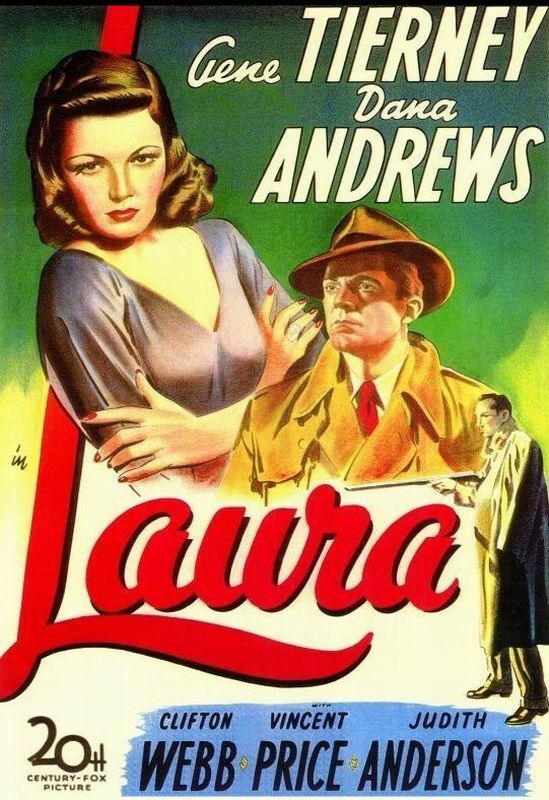 Sundown was released by United Artists in 1941. It’s a propaganda film, telling the story of British soldiers in North Africa and their attempts to both maintain the peace among the natives and to keep the Axis powers from arming the local rebels. Bruce Cabot is the experienced soldier who knows how things work in Africa. George Sanders is the new commander who is a bit more by-the-book. At first, you think that the film is going to be dominated by the rivalry between Sanders and Cabot but actually it’s not much of a rivalry. For the most part, they get along just fine and I guess that’s to be expected considering that the film was made at a time when the emphasis was on everyone remaining unified against the Nazis. Speaking of the Axis powers, they’re always in hovering in the shadows of the film but it’s rare that we actually see any enemy soldiers. Perhaps this is because the film was made at a time when the United States was technically neutral. Joseph Calleia plays a prisoner of war who has rejected fascism and instead just wants to sing opera and cook for Sanders and Cabot. Calleia’s character is specifically identified as being an Italian. If not for that (and the fact that the film was made in 1941), it would be just as easy to assume that Sanders and Cabot were fighting the French or maybe the Russians. There’s an enemy agent in one of the tribes and it’s up to Sanders and Cabot to figure out who. Helping them out is the local big game hunter, played by Harry Carey. 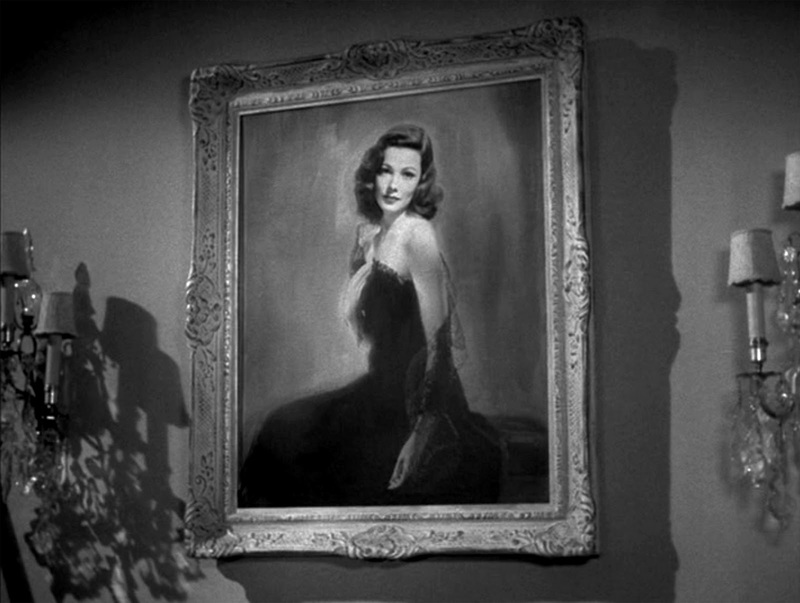 And, on top of that, there’s also a mysterious native woman played by Gene Tierney. 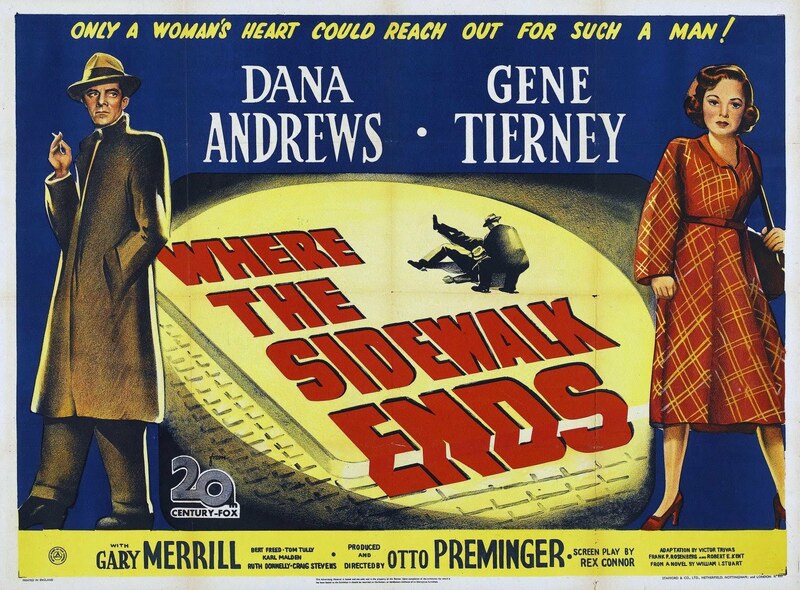 Gene Tierney is totally miscast but that adds to this film’s odd charm. And, for modern viewers, it definitely is an odd charm. I watched Sundown twice and I’m still not sure exactly what happened in the film. Sundown is one of those films that doesn’t so much have a plot as it just has a lot of scenes that kind of tell a story, assuming that you have the patience and concentration to figure out how they all link together. Between Cabot’s roguish smile, Sanders’s stiff upper lip performance, Calleia’s enjoyable overacting, and Gene Tierney’s otherworldly beauty, Sundown is unexpectedly dream-like. The film even features a sudden sermon in which a clergyman (Sir Cedric Hardwicke) exhorts everyone to fight. The clergyman is never seen again. Sundown was a strange movie, one that I often found myself struggling to follow. It was also apparently a box office bomb, though it did receive 3 Oscar nominations. One of those nominations was for Charles Lang’s cinematography and it was definitely deserved. Even the version I saw (which suffered from a typically poor Mill Creek transfer) was still impressive to look at. In case you hadn’t heard, U.S. Sen. Barbara Boxer has recently announced that she’s retiring in 2016. For the first time in decades, there’s going to be an open senate seat in California. There’s been a lot of speculation about who might run for the seat and, for the most part, it’s all been the usual political suspects. The state’s attorney general is running. A few congresspeople might run. Token billionaire Tom Steyer is thinking of getting into the race. What disappoints me is that, as of right now, it doesn’t look like any celebrities are planning on running. You know what would have made the Golden Globes perfect? If George Clooney had announced his candidacy while accepting his Cecil B. DeMille award. (At the very least, it might have given Amal something to smile about, as opposed to just sitting there with a condescending smirk on her face. Seriously, what’s up with that?) But even beyond George Clooney, there’s all sorts of celebrities who could run. Charlie Sheen lives in California, after all. Jeff Bridges might not be able to run in Montana but what about California? I was discussing this with a friend of mine who suggested that Betty White should run because who could vote against Betty White? Speaking for myself, I could easily vote against Betty White but I do think there would be something appropriate about Betty White serving in the U.S. Senate. After all, in 1962, she played a senator in Otto Preminger’s political epic, Advice & Consent. White played Sen. Bessie Adams of Kansas and was only given a few minutes of screen time. She’s one of many performers to show up in Advise & Consent‘s version of the U.S. Senate. 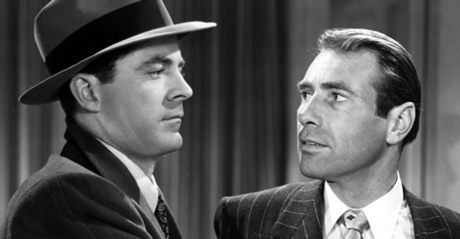 For instance, Walter Pidgeon plays Sen. Bob Munson, who is the Senate majority leader and, as a result, the closest thing that this sprawling film has to a central character. His job is to make sure the President’s agenda is pushed through Congress. And then there’s Peter Lawford, as Sen. Lafe Smith, who always has a different girl leaving his hotel room. When Advise & Consent was made, Lawford was President Kennedy’s brother-in-law. Interestingly enough, one of Kennedy’s former girlfriends — actress Gene Tierney — shows up in the film as well, playing Bob Munson’s lover. George Grizzard plays Sen. Fred Van Ackerman, who is about as evil as you would expect someone named Fred Van Ackerman to be. Grizzard gives one of the better performances in the film, which just goes to prove that it’s more fun to play an evil character than a good one. Don Murray is Sen. Brigham Anderson, a senator who is being blackmailed by Van Ackerman’s lackeys. Despite being happily married to Mabel (Inga Swenson), Anderson is leading a secret life as a gay man. The scene where Anderson steps into a gay bar may seem incredibly tame today but it was reportedly very controversial back in 1962. And finally, there’s Sen. Seabright Cooley. You may be able to guess, just from his overly prosaic name, that Cooley is meant to be a southerner. That, of course, means that he wears a white suit, is constantly fanning himself, and speaks in lengthy metaphors. Sen. Cooley is played by Charles Laughton, who overacts to such a degree that I’m surprised that there was any oxygen left over for anyone else. All of these senators have been tasked with deciding whether or not Robert Leffingwell (Henry Fonda) will be the next secretary of state. Fonda, not surprisingly, is the epitome of urbane liberalness in the role of Leffingwell. However, Leffingwell has a secret. Back in the 1930s, Leffingwell was a communist. When Sen. Cooley introduces a witness (Burgess Meredith) who can confirm this fact, Leffingwell offers to withdraw as the nominee. However, the President (Franchot Tone) refuses to allow Leffingwell to do so. Instead, with the help of Van Ackerman, he tries to pressure Anderson into supporting Leffingwell’s nomination. This, of course, leads to melodrama and tragedy. As far as literary adaptations directed by Otto Preminger are concerned, Advise & Consent is better than Hurry Sundown while being nowhere to close to being as good as Anatomy of a Murder. It’s a film that is occasionally entertaining, often draggy, and, if just because of all the different acting styles to be found in the cast, always interesting to watch.